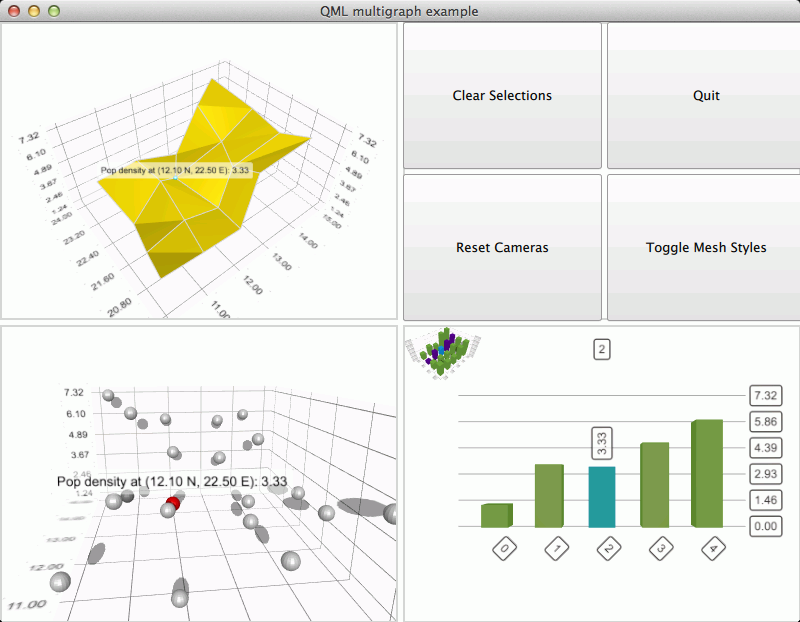 The Qt Quick 2 multiple graphs example demonstrates using multiple graphs in single window. The interesting thing about this example is demonstrating that multiple graphs can be used simultaneously, so most functionality is not explained in detail. For more detailed QML example documentation, see Qt Quick 2 Scatter Example. itemLabelFormat: "Pop density at (@xLabel N, @zLabel E): @yLabel"
// so we define explicit row and column roles. Each graph has a parent Rectangle item to provide it with a border. Note that one of the grid cells is used for buttons in an another GridLayout.